If you wish to get to southern California quickly, drive down I-5. 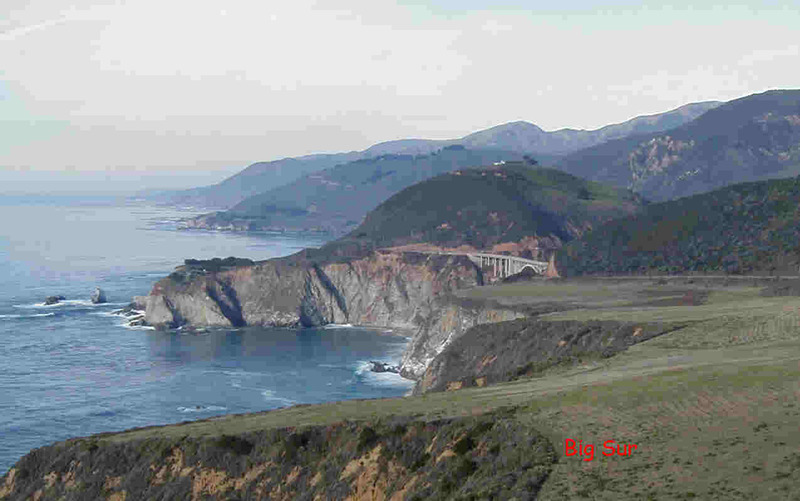 If you wish to travel one of the most scenic drives in the country, travel Highway One. This is not a fast drive, but well worth the time. Shortly after crossing the California border, things begin to look differently. Gone is the Salal, Oregon Grape and Douglas fir which are so characteristic of the Oregon coast. You see Redwoods, California Bay Laurel, Gorse, many other unidentified shrubs and trees, and, what is most symbolic of Northern California, Eucalyptus trees. We drove through San Francisco and down Highway One, through Monterey, Carmel, The Big Sur and past the Hearst Castle. A stop at Fort Ross informed us that this was a site occupied by Russian fur trappers until 1841. Bodega Bay is another beautiful spot along the coast, delightfully unspoiled in spite of it’s fame. It’s a place where we had stopped before and did so again. We spent most of one day bird watching. Seems like the thing to do at Bodega Bay doesn't it? We added seven new birds to out Life list. Now, a word about bird watching. There are people who are really serious about bird watching, preferring to call themselves ‘birders’. Most of them keep a Life List, which is simply a list of all the different species they have seen. Avid birders have a life list of several hundreds or even thousands. While we aren't so avid, we find it kind of fun trying to identify all the birds we see. We have a Life List which numbers about 170 different species, a rather pathetic total, especially considering the many places we have traveled around the world. Still, it amuses us. 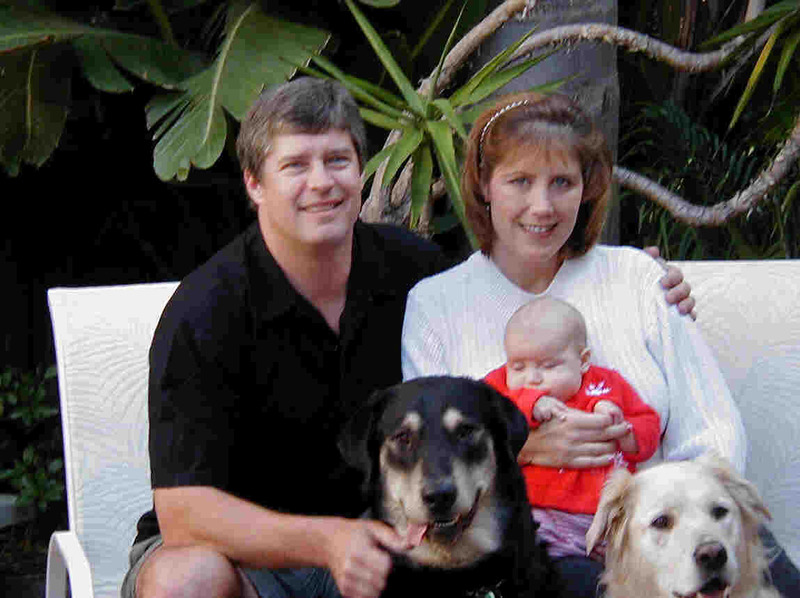 We finally made it to Redondo Beach, just South of Los Angeles, to the home of our son Brad, and his wife, Kristine and their 3 ½ month old daughter, Madison, our newest addition. She was a real trooper as we carried her through the La Brae tar pits, J. Paul Getty Museum, the Museum of Natural History and the Griffith Park Observatory. 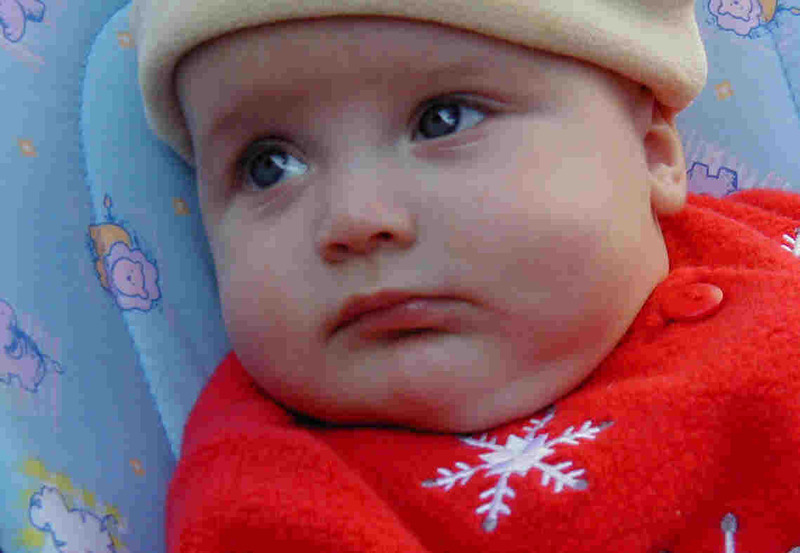 We had a very nice visit and, after spending Thanksgiving with them, were back on the road headed toward Palm Springs. We have been to Palm Springs before and really enjoy the area. Palm Springs is a desert oasis city of about 43,000. They are sitting on a huge aquifer that allows a generous use of water, keeping things green and lush. Nearby is a pass between two 10 and 11 thousand foot mountains creating a wind funnel. This is a perfect place for a windmill farm of over 3,000 windmills, which provide power to the city. Palm Springs is well known for being a playground for the more well-to-do crowd, so there's plenty to do if you are into spending money. Fortunately, for us, there is plenty to do without spending that much. Palm Springs may well win the prize for the perfect winter escape, but the full-time residents readily admit that the summers are brutal, with temperatures well over 110! If they can, they leave town in the summer. We turned south, toward the Saltan Sea, an interesting area. This area was first developed for salt mining, and later as an agricultural area, irrigated by water from the Colorado River. The river normally drained into the Gulf of California but, in 1905, due to flooding conditions and poor work on irrigation canals, the river broke free and began to flow into the Salton Basin. As the Basin is 230 feet below sea level, and because it took 16 months before they were able to stop the entire flow of the river, the Basin became the Sea. The Salton Sea is now about 22 feet deep, 35 miles long and 15 miles wide. It is slightly saltier than the ocean and supports large quantities of fish and birds. As we drive south and east through Arizona and New Mexico, we slowly learn a little about the great diversity of the deserts. We aren't becoming 'desert rats', the Pacific Northwest is just too deeply ingrained, but we can see some of the beauty of this country and understand why so many enjoy it. In spite of that, the drive through much of this country is.....well, rather boring. 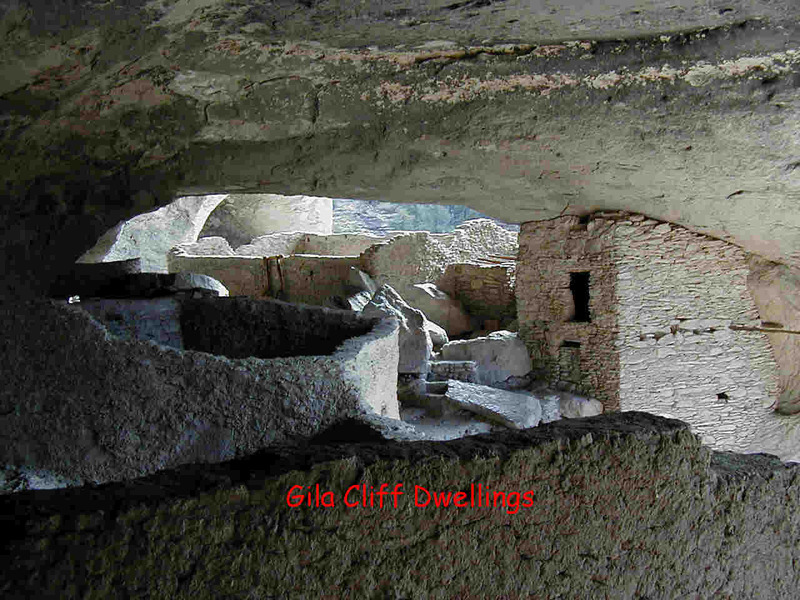 In seeking interesting side trips, we drove up to Silver City, on the way to the Gila Cliff Dwellings. Silver City was created because of a silver strike about 1850. A booming town developed before the mines played out. Now, there is little of note except still functioning copper mines and a vain effort to promote tourism. Billy the Kid lived here, his mother's grave is here, and that's about it. Forty miles from town is the site of an ancient indian cliff dwelling. It takes 2 hours to make this drive over an incredibly difficult winding road! Now, remember, we came down this way to avoid the cold, wet winter in Oregon. It thus came as a rude shock to run into snow and overnight temperatures which barely made it into the twenties! It was all worth it though to see the cliff dwellings. The Indians lived here for a short period of time in the early 1200s. 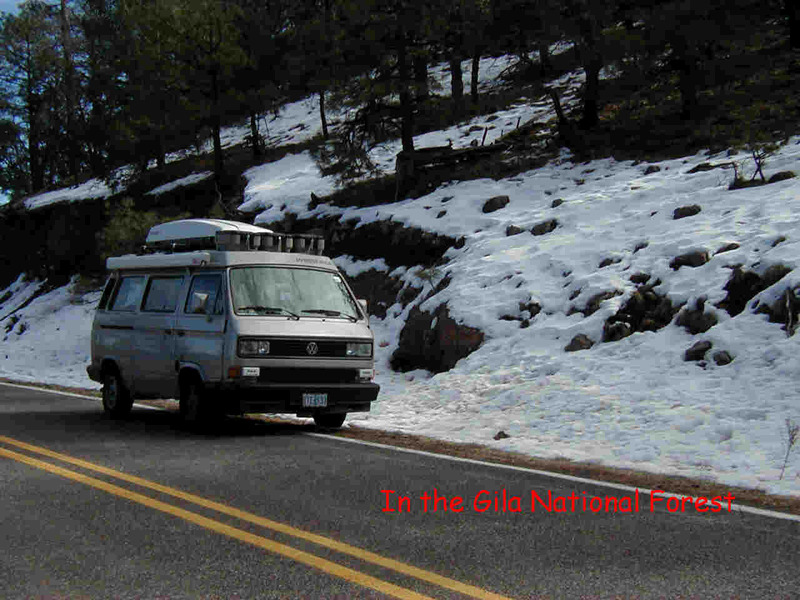 The population never exceeded 60 and they lived here for only a couple of generations. Many questions about these people remain unanswered. 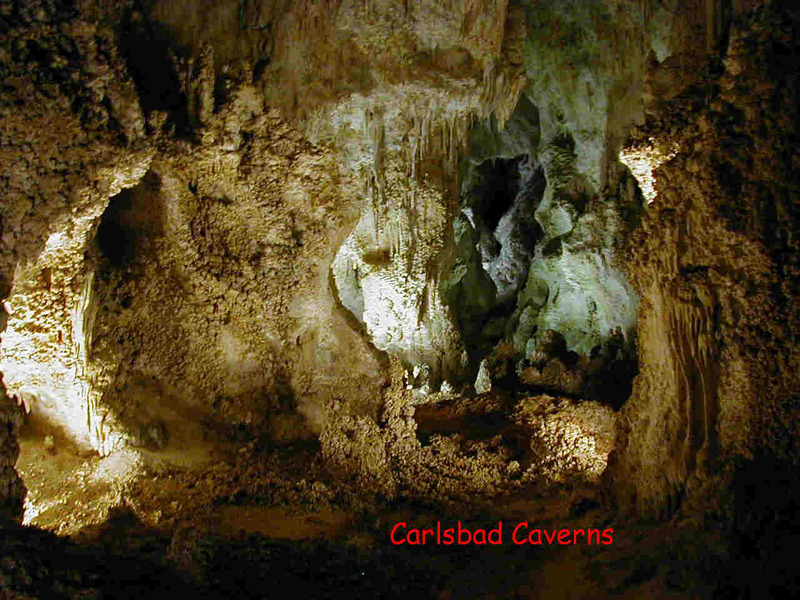 We continued on our way, passing through Carlsbad Caverns. These are the largest caves in America and the main cave, The Big Room, is huge! The walk around the room is over a mile in length. It is quite impressive! We are now headed south,toward San Antonio, Texas.